This Dooteriah version of The 'Jeeling is priced between the Makaibari and Sourenee types that I tried before, all from Pu-erh.sk. 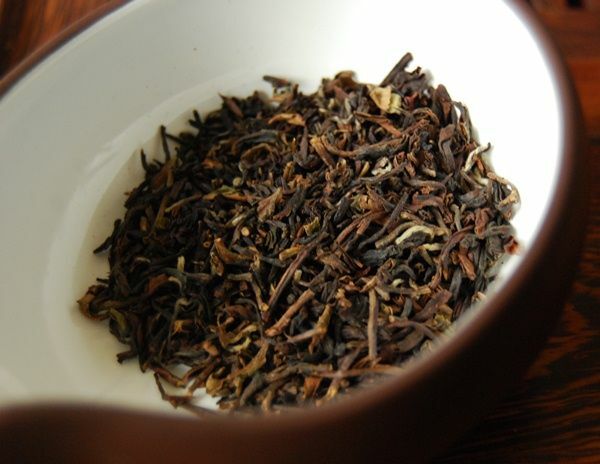 Friends (admittedly, ones that don't care about tea to any degree) often tell me that Darjeelings all taste alike, which I consider to be heresy worthy of an immediate strike to the panoplies. 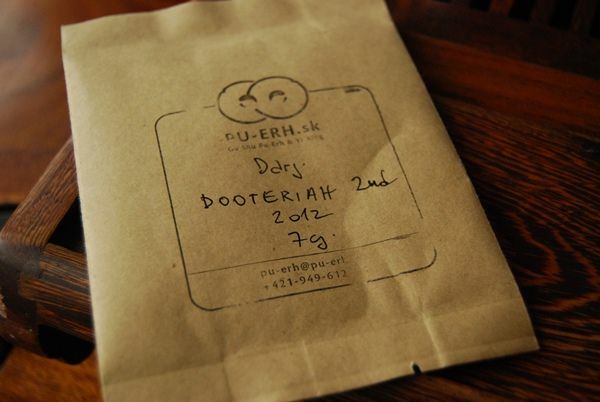 This Douteriah is significantly different from both of the other Darjeelings, primarily because it is unfathomably sweet. It really is very sweet. While the broken grade looks very "Whittards-of-Chelsea" (which is not a term of endearment), the quality far exceeds anything that you'll be able to find in such grotty outlets. The character is immediately refreshing, clean, and very well-made. The sweetness piles into the mouth from the very first infusion, and simply refuses to leave until the session is finished, some eight or so infusions later. ...a hongcha seemingly made out of gushu leaves. Yes, this is a crazy fate for such lovely leaves, akin to "gushu shupu", if perhaps not quite so eyewateringly cruel to the leaves. However, if you are going to turn your gushu into hongcha, then you want to be doing it this way. The beauty of the leaves, pictured above, has been preserved, in stark contrast to the fragmentation of the Darjeelings that I have been recently enjoying. 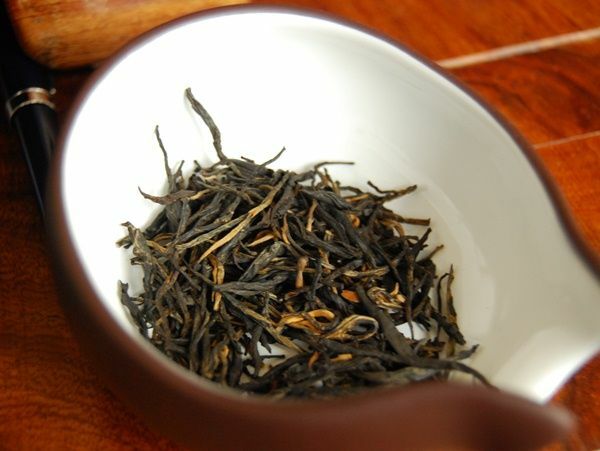 Every now and again, the bright orange fur of a tip can be seen; the entire room smells of bright, clean hongcha maltiness on opening the sample bag. This was a very good session, even before the water boiled. As far as hongcha goes, this is really very good. It even has something approximating huigan, and leaves the breath in the nose feeling positively iced, such was the cooling sensation. It is sharp, heavy, very beefy, and entirely enjoyable. You can't fault a bit of beef in your hongcha. 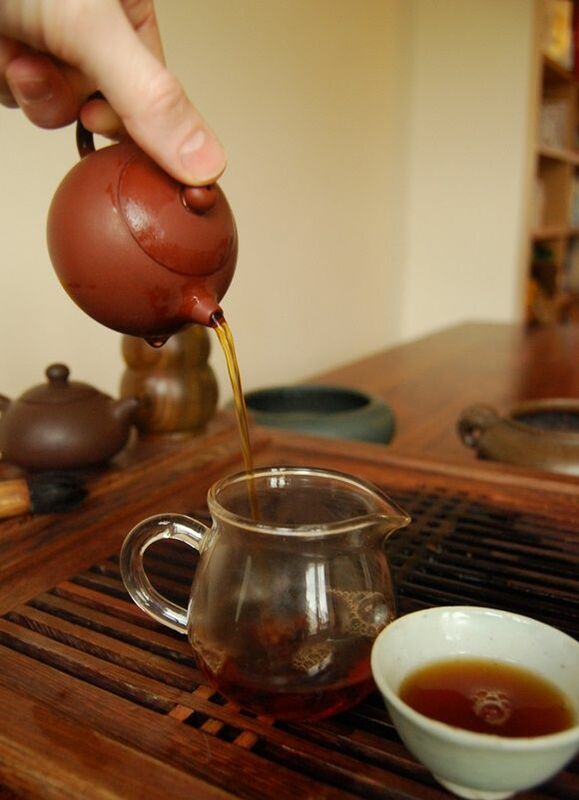 If there is but one criticism, it is that, being hongcha, it tends to give up after around six-eight infusions. This is churlish, given that the leaves have been fully oxidised, but is worth noting; even good leaves, as these undoubtedly are, cannot hold up to a long onslaught if they have been entirely reddened. 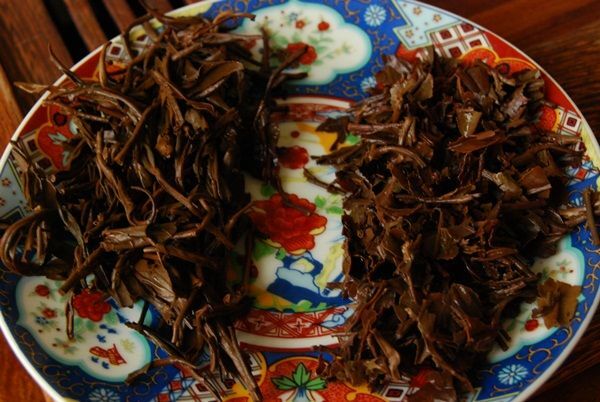 A final flourish is shown above, with the long leaves of the gushu hongcha and the chopped sweetness of the Douteriah on the left and right, respectively. I need to drink more hongcha. 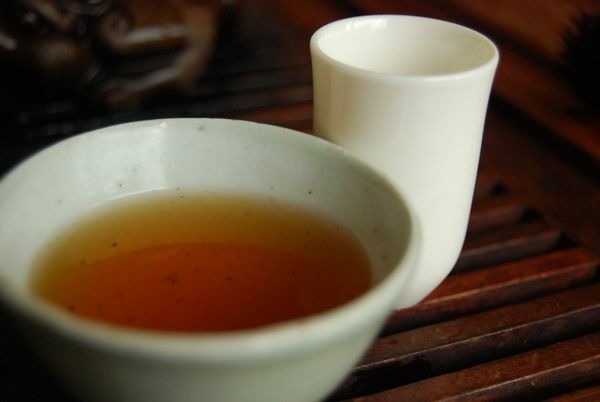 I am therefore exceedingly grateful to Peter for giving me the opportunity to step outside my usual routine, and enjoy a genre of tea that constantly thrills me; while less exalted than the complexity of pu'ercha, a good hongcha is a very different and almost incomparable experience. 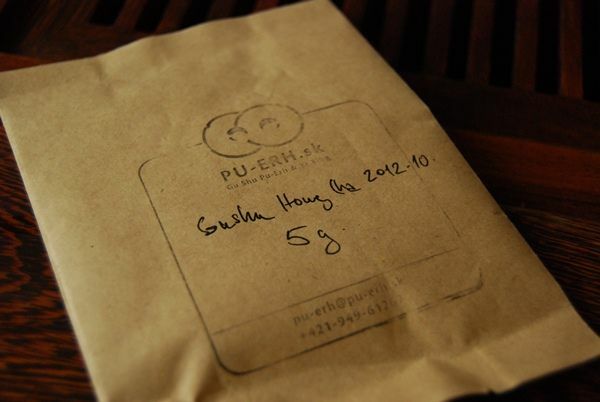 Great stuff, when done right, as in the case of this set from Pu-erh.sk. I prefer Assams. Autumn darjs will do in a pinch, but I want that heavy malt from Assams or a good Dianhong. I likes me my Assamic malts, and am drinking something similar right now in my lab, but the gushu hongcha was darned tasty - and very much appreciated.